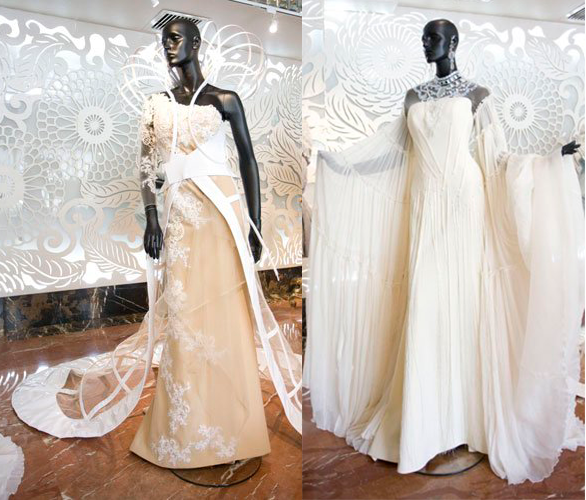 Are you sick and tired of all those ‘old-new-old’ and ‘hey-it-looks-weird’ wedding dresses? Unless you live in Asia, (even if you live in Asia, it is cool) I’m going to give you some Japanese, Chinese, Bhutanese, Indian and Thai designer wedding dress ideas to inspire you to stand out from the other brides on your big day. 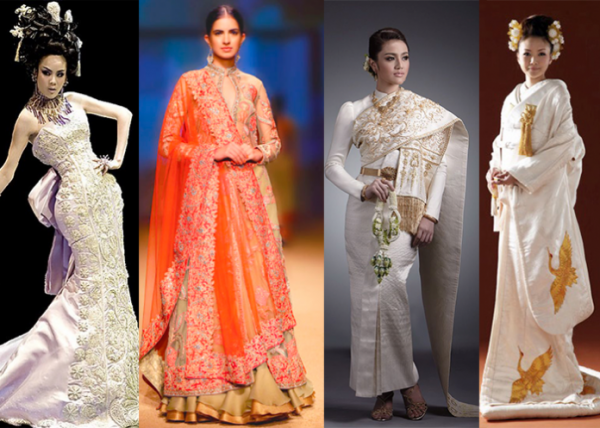 In most Asian cultures, brides wear the highly decorative dresses usually covered with gold, embroidery, and beading. The color options are literally endless. In some countries, including Japan, brides wear a few outfits on a wedding day. Just because it is labeled “Made in China” does not mean it is cheap and of poor quality. 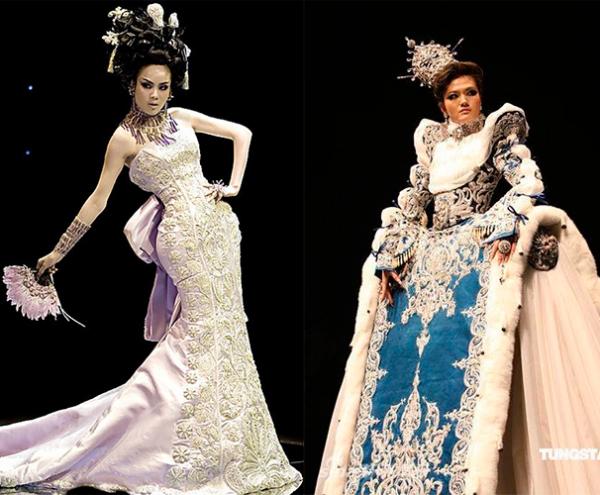 Look at these jaw-dropping designer wedding dresses and you will fall in love with Chinese style forever. Well, don’t wonder if your guests think you are going to the ball.